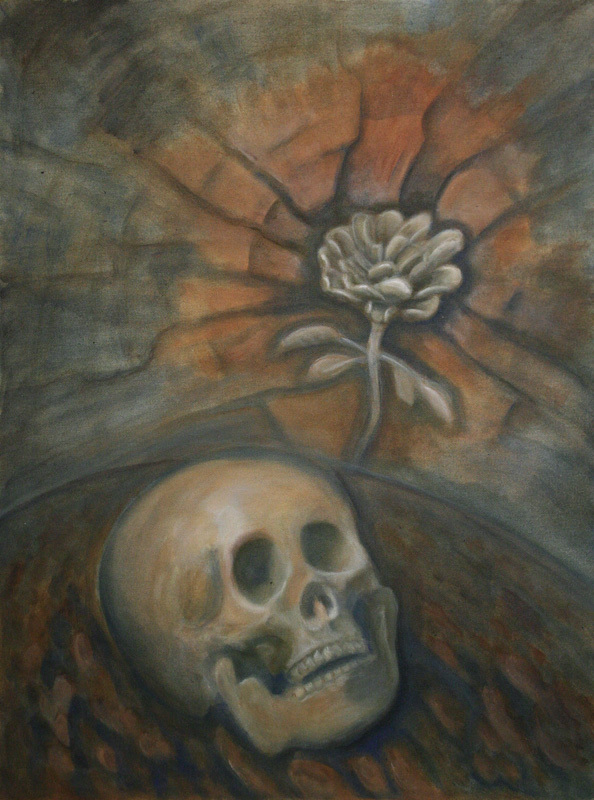 “A Seed Planted” Acrylic on Canvas (don’t worry the skull isn’t real… bought one of the plastic ones from the pre med department in the book store at American River College :). I’ll leave you to sort out the symbolism. It’s an idea I had from reading a verse in 1 Corinthians 15:42. I don’t feel pressured into making every painting I do symbolic of the hope I have. But what I am thinking about usually comes out in my paintings some how. Mainly I wanted to send the message of a life after death. Also I wanted to do a painting in earth tones. I appreciate all the brilliant colors in paintings these days but their is also beauty in the old school earth tones used in all the old paintings. They were used because these paints were very cheap to make… all you needed was dirt. Color pigments were of course harder to get. Something beautiful can be made from dirt!